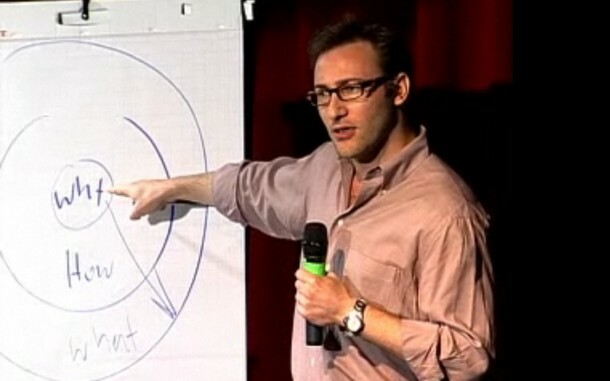 Simon Sinek’s TED talk, “How great leaders inspire action.” looks at why Apple succeeds in communicating with consumers where others fail. Instead of focusing on its products, Apple tells people why they design what they do. Once you understand Apple’s purpose — the underlying motivation behind everything they do — then you’ll be open to buying anything they make. You might buy a Dell PC because it’s cheap or has nice specs, but that doesn’t make you any more likely to buy a Dell MP3 player, whereas people convinced of Apple’s dedication to challenging the status quo or making some other statement would be likely to buy not just a Mac, but an iPod, iPad, and anything else.